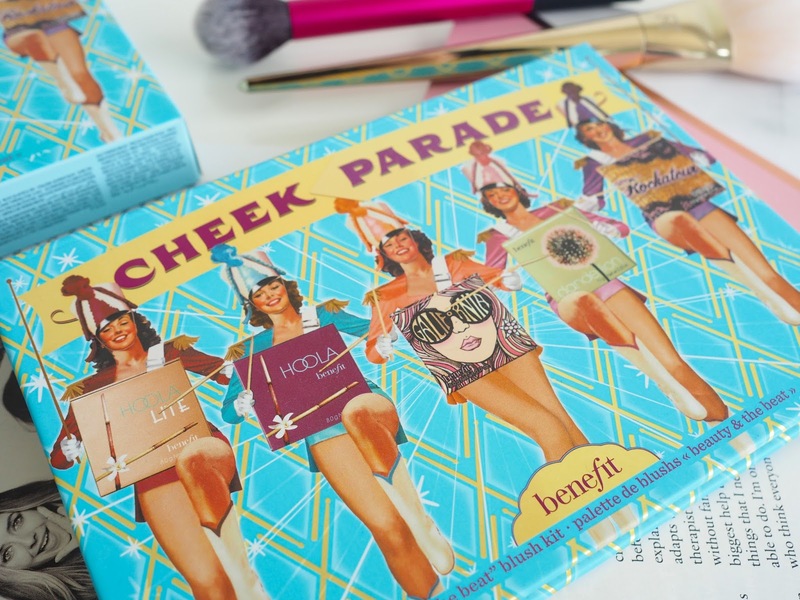 When I first saw the pictures of the Benefit Cheek Parade palette I just knew I'd have to get my hands on it. Eight years ago my very first high end beauty buy being Benefit's Coralista and I have been in love with them ever since. The palette contains five full size cheek shades which will work for all skin tones plus a blush brush which would come with any one of the single box blushes. 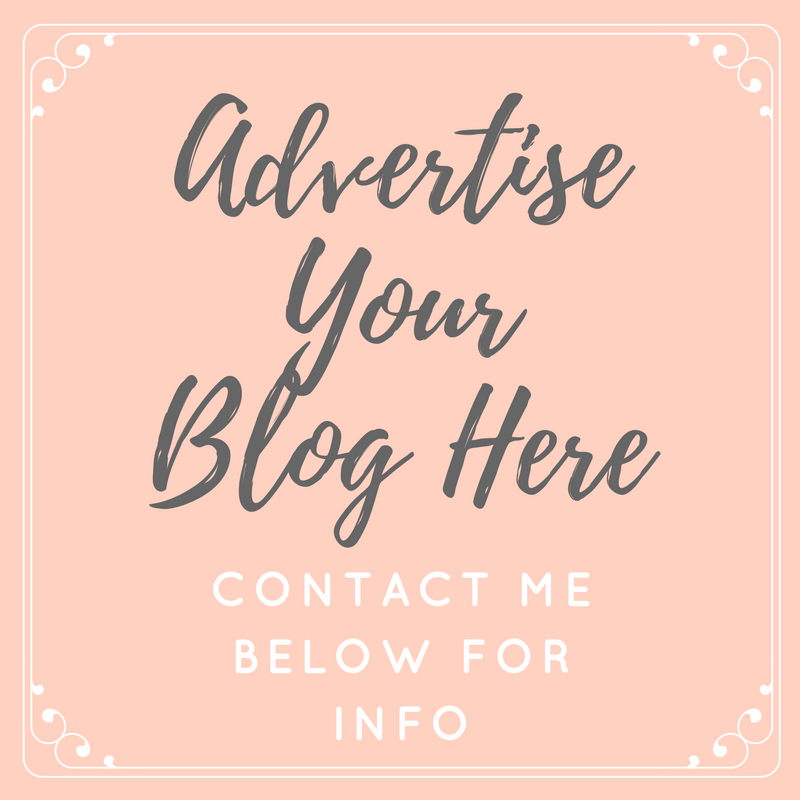 The formulas, the pigmentation, even the beautiful smell of the blushes are all exactly the same as if you were to buy them individually, the only difference being the palette costs £49.50 and individually they would set you back £122.50! If that's not a good enough excuse to treat yourself, then I don't know what is. 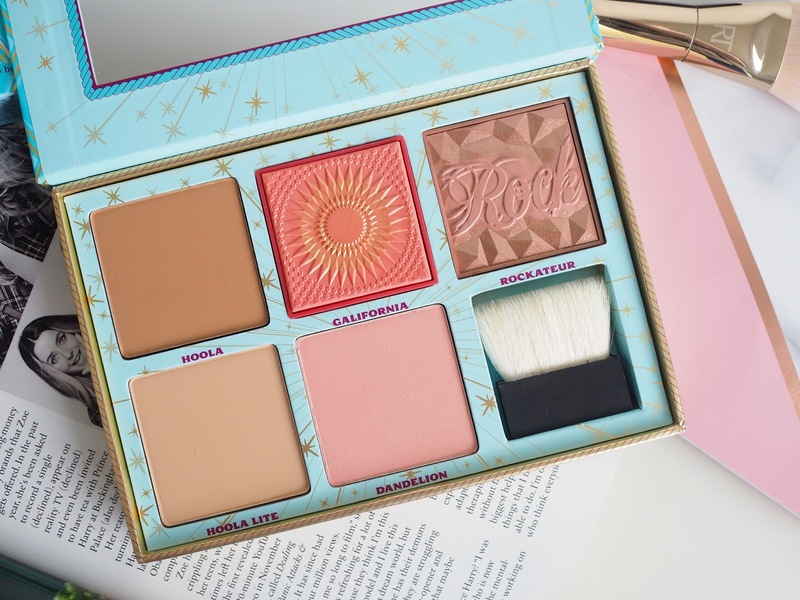 Hoola: The award winning bronzer that everyone raves about, which, believe it or not, I had never tried before despite it being on my wish list for years. This is a beautiful matte bronze, making it ideal for adding a natural tanned look to the skin and for contouring. 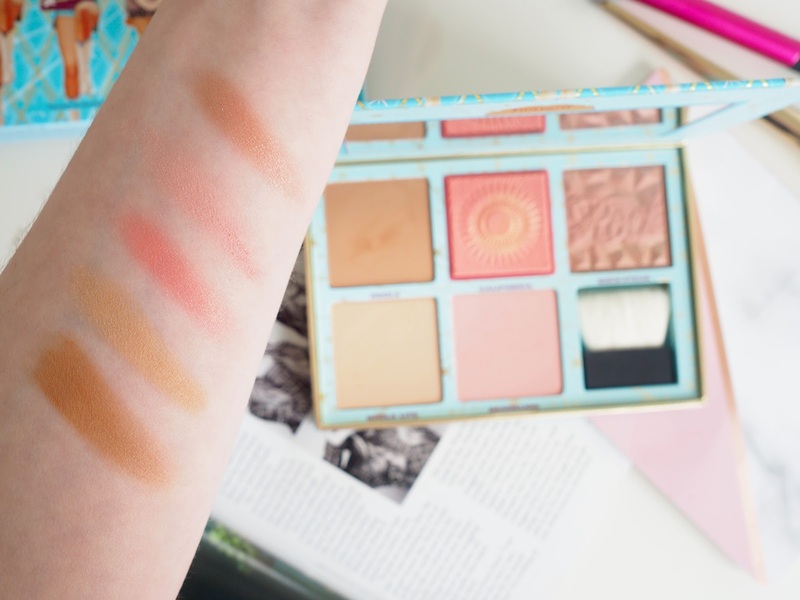 On my pale skin tone this is a really cool toned, natural bronze which creates amazing shadows on my face, making sculpting my cheekbones and contouring really effortless... I wish I'd given in and got my hands on this sooner! 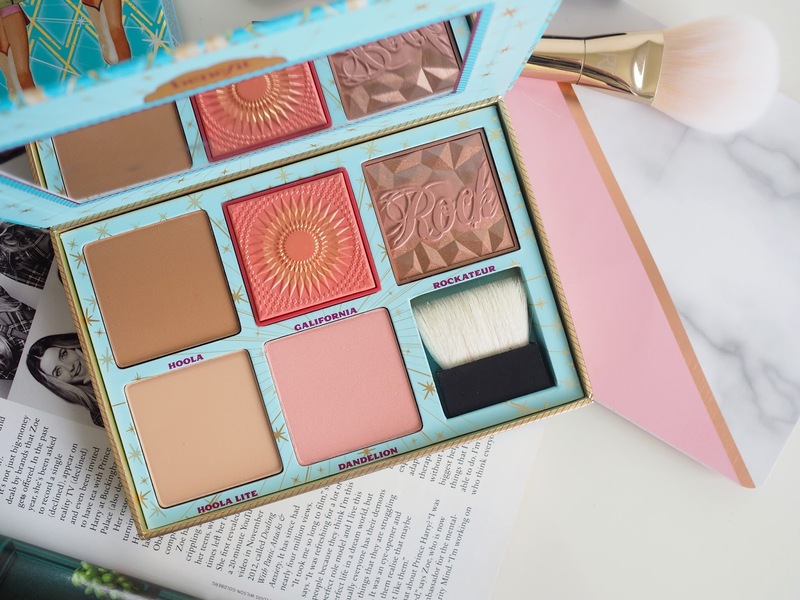 Hoola Lite: The brand new bronzer release from Benefit which until May 13th is only available in this palette in the UK. This is a brilliant option for pale skin tones, or for someone who wants a more subtle bronze look to their complexion. I personally think this is a brilliant idea for bronzing over Winter, so you can still have a glow to the skin, without appearing overly bronzed and fake or for lightly dusting allover the face for a night out, to add a hint of colour. Galifornia: This is the newest UK release, a glowy, bright coral/pink shade with beautiful gold undertones. 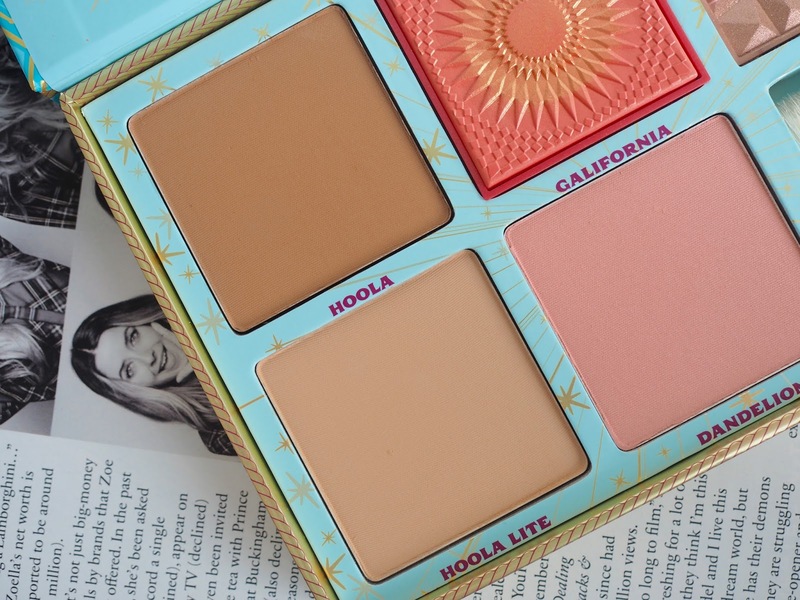 This gives the cheekbones a real glow and is just beautiful for that Summer LA style flush of colour. Dandelion: One of the classic Benefit powders, this is a sheer, pink shade which can be used in a few different ways. Dust over the cheeks for a girly blush, or apply lightly allover the face to brighten the complexion. I love this for Spring and Summer, especially to add a slightly shimmery highlight onto the cheekbones when wearing a matte base. Rockateur: Another blush I've been wanting to try and have admittedly swatched pretty much every time I'm at a Benefit counter, this is a really unique rose gold blush. The colour is like no other I own, it's intense, it's really beautiful and it's gorgeous built up for that highlighted cheekbone effect we all desire for evening makeup looks. 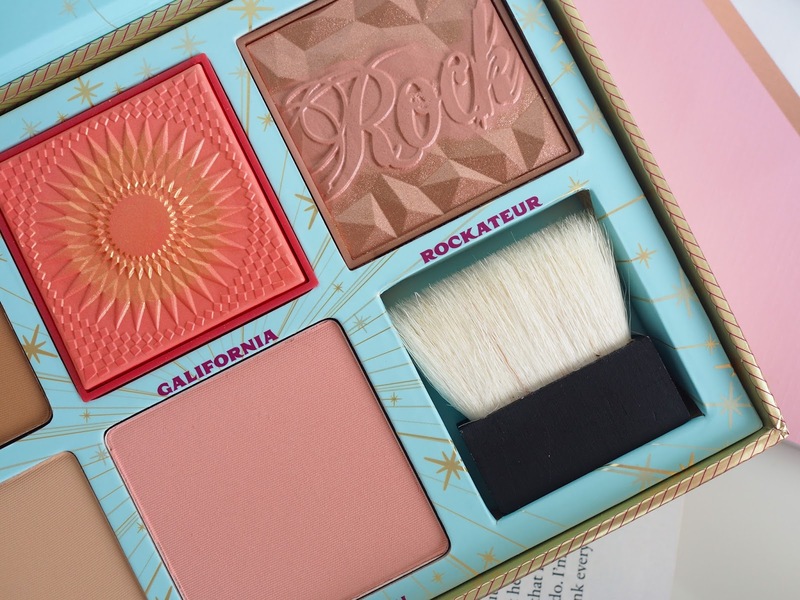 As with all Benefit box blushers I have used in the past, the pigmentation of these are all really high, yet easily blended out for more of a subtle look or built up for something more intense. The powders are very fine, and end up looking almost natural on the skin and their creamy, flawless application is second to none. This palette is an investment I know I will never regret buying, it's so versatile and so useable day to day or for night time... I'll end up reaching for it over and over again.